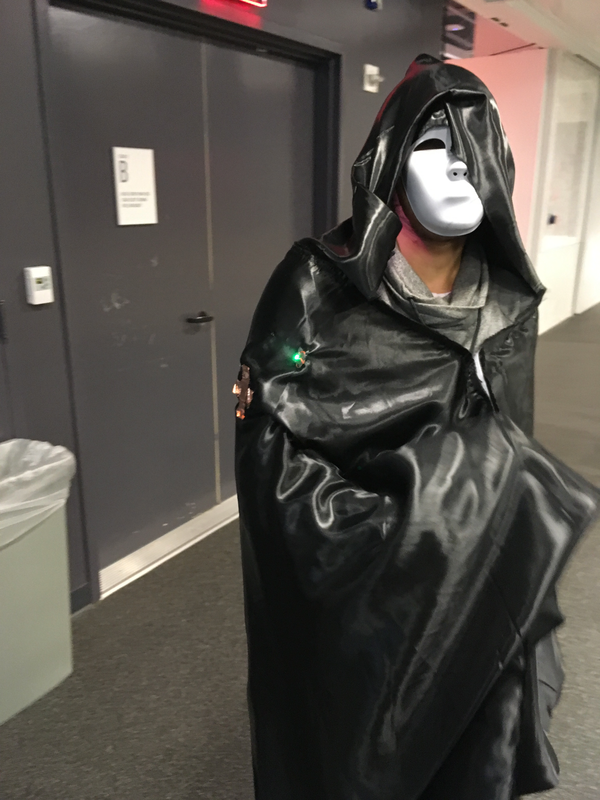 A “wearable” hidden roles dancing game for six players, using a custom costume created by our team. The Masquerade takes place at a dance party for monsters and monster hunters. Each player takes on a unique role (such as Werewolf or Vampire Slayer), with someone they must hunt and someone that will hunt them. Their costume will prompt them to perform their character’s unique dance move, and they must hide that move among their other dances, while observing the other player’s dance moves. This project required six Adafruit Flora’s to be able to independently communicate with each other and verify their relationship, as well as the detection for six unique dance moves.